Hi! 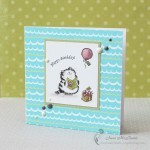 Today I’m going to share two cards that I made using Simon Says Stamp exclusive stamps and dies. They are both Holidays themed. 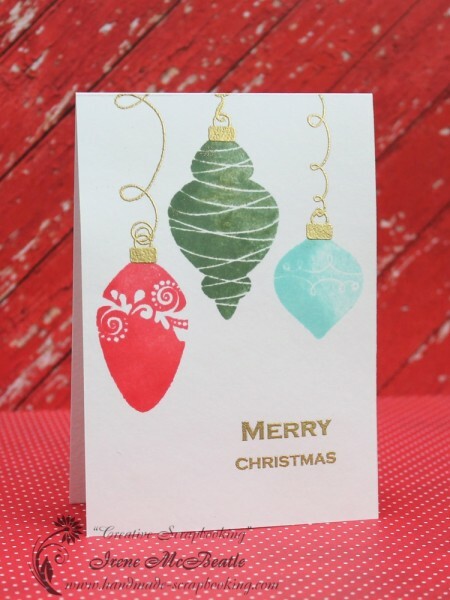 For the first card I used Ornaments clear stamp. I stamped them with three colors from the Hero Arts mini ink pads set. After that I added some gold heat embossing. This was very easy and simple. All the products are listed below. 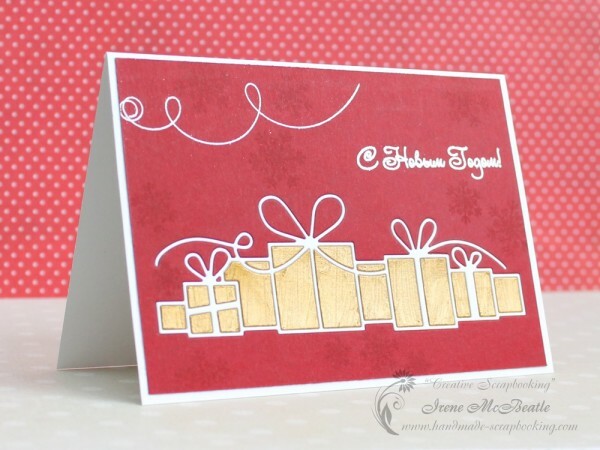 I’d like to participate in Ornaments Challenge at SSS Monday Challenge blog. I’ve also sent this card for Caring Hearts card drive. All the cards gathered through this drive will be delivered to the elderly who live in nursing homes. The next card says “Happy New Year”. I’ve chosen Brilliant Gifts die cut for the main image on the card. I had to cut it three times from three colors of cardstock: background red, white, and gold. Then I gathered the pieces of the die cut together. I think this is a fun technique. I hope that you enjoyed these cards and will subscribe to my blog! Both cards are gorgeous! I especially love the beautiful ornaments on the first one. 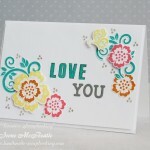 Thank you so much for joining us at Simon Says Stamp Monday Challenge.